Previous owners had carried out a basement extension at this mid-terrace property in East London. The new owners required more space for their expanding family and wished to infill the basement courtyard enabling re-instatement of a back garden and addition of a side extension gaining around 21Sqm of useable internal floor space. This side extension features a glazed roof using Lonsdale thermally broken aluminium glazing bars on top of 150 x 50 structural oak joists. The timber was recessed, allowing the lower aluminium glazing bar to sit inside the top of the rafters so only timber is visible up to the glass line from inside. 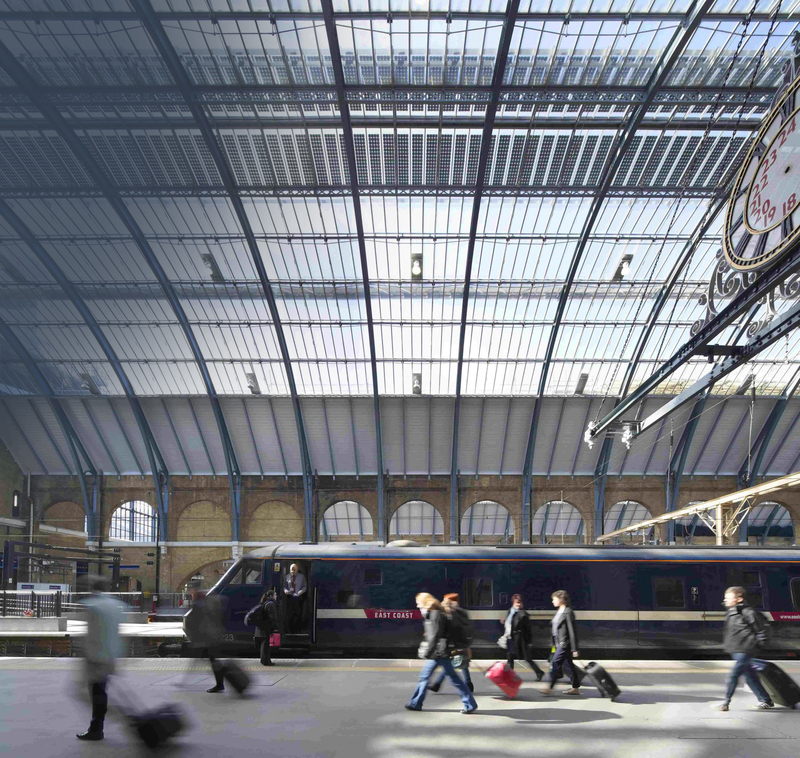 Safety was optimised by using laminated glass to the inner pane of the insulating glass units with heat soaked tested toughened glass for maximum strength to the outer panes. Importantly, the bottom edges of the double glazed units were stepped to avoid the laminated glass over-hanging at the gutter thus reducing the risk of thermal cracking. Similarly, heat soak testing the toughened glass immediately after the toughening process reduces the risk of spontaneous breakage due to nickel-suphide inclusions. The provision of a soft low-emissivity coating created maximum heat retention and lower heating bills. 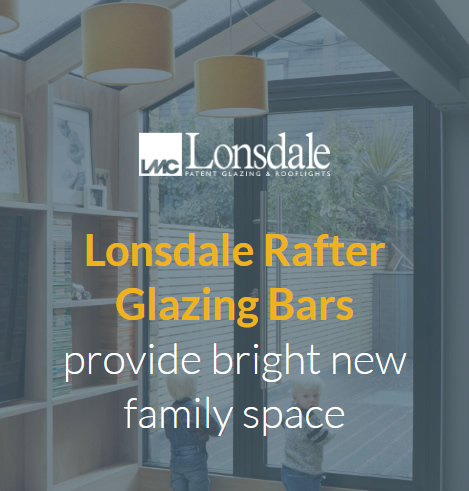 The Lonsdale rafter glazing system provides integral drainage channels to ensure any water that penetrates the system flows safely to the outside of the building. The continuous gaskets and pressure plates safely secure the glass and weight bearing glass stops prevent glass slippage. This combined with the advantage of maintenance free powder coated aluminium caps means a huge improvement in weather-tightness and durability over traditional methods using timber cappings and sealants. A nice design touch by HUT Architecture was extending the timber joists to floor level integrating them with shelving for the clients collection of books and retro artwork. Four walk-on rooflights to the ground floor provide plenty of natural light reaches the basement, while the glass roof to the side extension floods the living room and inner hallway with light too. A wider than usual door provides access to the new garden providing safe space to play for the couple’s children with seamless inside/outside access.